Publisher: Philadelphia: University of Pennsylvania Press, 2018. 199p. Manfred Nowak is one of world’s leading experts on torture and human rights. Author or co-author of numerous books, including commentaries on the Convention Against Torture and the Convention on Civil and Political Rights, Nowak also worked with the United Nation’s Working Group on Enforced Disappearances in the 1990s. He served as U.N. Special Rapporteur on Torture from 2004-2010. Originally published in German in 2012, Torture: An Expert’s Confrontation with an Everyday Evil distills Nowak’s experience as special rapporteur. The book is not a scholarly monograph. Nowak’s other publications fill that role. Rather, this book targets a more general audience that seeks information about torture, its status as a persistent global problem, and the tools necessary to combat it. Although updated somewhat on the occasion of its translation into English, the book reflects the period during which Nowak was special rapporteur, both in terms of the countries he visited and because the damage done by the war on terror and the Bush’s administration’s torture policies looms over the book. Torture ought to find its audience. Nowak and his translator (and frequent team member), Roger Kaminker, write in clear, economical, readable prose. Interwoven with the legal and factual information about torture are compelling stories of work in difficult and dangerous conditions amidst resistance from local officials. Some of the accounts are harrowing, as when Nowak and his team were threatened in more than one country with physical violence by armed police or soldiers. Although Nowak diplomatically states that “these situations were not excessively dangerous” (23), it is clear not only that the danger was real but also that he and his team exhibited remarkable tenacity and courage in pursuing their fact-finding missions. Notably, as Nowak himself observes, the risk of violence always came from soldiers and guards, not from prisoners and other detainees. One comes away from this book with a clear understanding of the difference between the easy rhetoric of human rights and the grinding reality of human rights work, of the need for and the risks of doing on-the-ground work to document, redress, and prevent human rights violations. Nowak has divided the book into two sections. The first part focuses on torture in general, and the second part contains short chapters that discuss the eighteen countries Nowak visited during his term as special rapporteur (as well as a chapter on Austria). The first, more general part of the book is a bit haphazard, taking the form of a related and somewhat developing series of reflections on issues relating to torture and human rights work. Nowak describes the role the special rapporteur, the definition of torture, with some focus on methods that inflict mental suffering, the relationship of torture to corporal punishment, and other topics such as enforced disappearance, the death penalty, and violence against women. For specialists, this part of the book provides a brief review of well-known material. 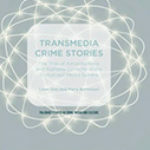 For more general readers, these short chapters provide a straightforward and accessible introduction to these topics. In the second part of the book, Nowak discusses countries in the order that he visited them, and the information is drawn from the reports he prepared of those visits. Nowak intended to visit other countries, as well, and a chapter in the first part of the book discusses the ways that states have impeded his investigations by, for example, imposing unacceptable conditions (the United States and Russia) or withdrawing invitations (Cuba and Zimbabwe). Often, Nowak encountered prisoners who had been tortured or mistreated shortly before his arrival and who had untreated and festering wounds. In Indonesia, his team unwittingly stopped the brutal interrogation of a suspected drug dealer when they walked into an interrogation room (122). Officials in some countries lie and deny their practices, obstruct Nowak and his co-workers, and fail to implement reforms. Sometimes, the falsehoods are ludicrous on their face, as when Jordanian officials insisted that Maher Arar arrived in Jordan as an ordinary passenger on a regular airline flight and asked to be taken to Syria after he was refused entry to Jordan (89). Nowak’s home country, Austria, provides one of several examples of torture that is linked to racial, ethnic, or religious difference. Nowak details the light sanctions imposed on the Austrian torturers, the strenuous efforts by many government officials to prevent accountability and block further investigations, and the failure to implement recommendations designed to prevent further torture (92-102). Officials in some countries were more cooperative. And, it is apparent that a power struggle exists in many countries between central government officials, who often are willing to take at least some steps towards compliance with international law (presumably for a variety of reasons), and local police or paramilitary personnel, who see nothing wrong with mistreatment. As a Nepalese police officer informed Nowak, “A little bit of torture helps” (80). Sometimes, Nowak’s more general views about criminal justice emerge from his discussions of particular countries. 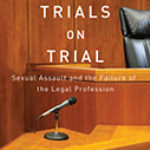 In the chapter on Georgia, Nowak includes a sustained criticism of plea bargaining as a sophisticated substitute for torture: there is no need, he suggests, to torture a confession out of a suspect if officials can coerce a plea deal based on the threat of a long sentence. Nowak also questions whether this U.S.-style practice is “compatible with European principles of rule of law, democracy, and human rights” (74). Similarly, writing about Mongolia, Nowak states that inmates there “had not been offered any of the rehabilitation and reintegration opportunities that are goals of any modern penal justice system and that states have committed to abiding by under international law through the International Covenant on Civil and Political Rights” (76). Nowak also praises Denmark for its commitment to human rights, the apparent absence of mistreatment of any kind, and its open prison system (127-130). Nowak undoubtedly knows that some U.S. readers may have a different view of prison administration and the purposes of criminal punishment, and of course the value of rehabilitation is a perennial subject of debate in U.S. criminal justice circles. Nowak’s discussion of specific countries also provides small insights into the political side of the U.N.’s human rights work, as when the Human Rights Council refuses to condemn documented widespread torture by Equatorial Guinea (141). Similarly, Nowak highlights Sri Lanka’s ability to convince the Human Rights Council to vote that the Tamil rebels, not the Sri Lankan government, were responsible for torture—which provokes his statement that “there are practically no other countries for which I documented in great detail so many cases of savage torture” (120). Although he was unable to visit them, the United States and Russia receive a certain amount of attention throughout the book, for obvious reasons. Oddly, though, Nowak does not mention India, despite that country’s long history of using torture and more recent efforts to combat its use. Again, though, Torture is not meant to be a detailed account of torture in all countries. Its value lies on its first-hand account of torture in the countries that Nowak managed to visit, and readers can easily extrapolate from there. On the specific topic of the war on terror, Nowak calls out the United States for its embrace of the ticking bomb scenario and the use of torture in the war on terror (54-61). The short discussion of U.S. torture manages to include a great deal of concrete information. At one point, however, Nowak links the United States with other countries that he has just discussed on the issue of enforced disappearances, and he asserts that U.S. practice in the war on terror “fulfills all of the definitional criteria of enforced disappearance and is a devastating reminder of the days of Latin American military dictatorships” (68). Certainly, the torture and detention practices of the United States in the war on terror have generally been shameful and illegal, but they do not compare in scope (the number of people) or end result (rarely death) to the practices of Latin American countries and the former Yugoslavia that Nowak details in the rest of that chapter. Also jarring were Nowak’s general references to “Islamic states” or “most Islamic states” (37-40), without providing greater clarity about the content of that group. He also refers to “Islamic states, which use the Sharia criminal code,” a statement that wrongly suggests there is a single, static religious criminal code shared among a vaguely specified group of countries. Nowak’s last chapter reports on his visit to Greece in 2010. Here, he does not address torture directly, in the sense of interrogation or punishment. Instead, Nowak’s concern was the squalid conditions for refugees trying to get into Europe. Nowak details the failures of European policy on this issue and warns of the consequences. And, of course, on this topic he was prescient, for these issues have only become more dire in the years since he wrote. Nowak concludes this valuable book with a summary that decries the persistence of torture as an everyday and too-easy tool to intimidate suspects who lack the resources to obtain better treatment. He also stresses that the victims of torture are often rendered invisible by the assumption that they are criminals who deserve—and receive—little empathy from the surrounding population or government officials. Nowak highlights some of the clear ways in which torture and inhumane detention can be combatted: early pretrial release for criminal suspects, unannounced inspections of jails and prisons, an end to impunity for torturers, and above all recognizing detainees as persons who have rights and the potential to be productive members of society.